Add shining sparkle effects to crafts and decorations! 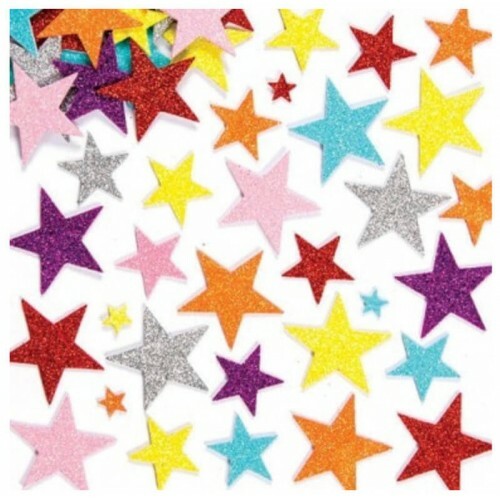 150 glitter star foam stickers per pack in 3 sizes - 15mm, 35mm & 50mm. 7 assorted colours.